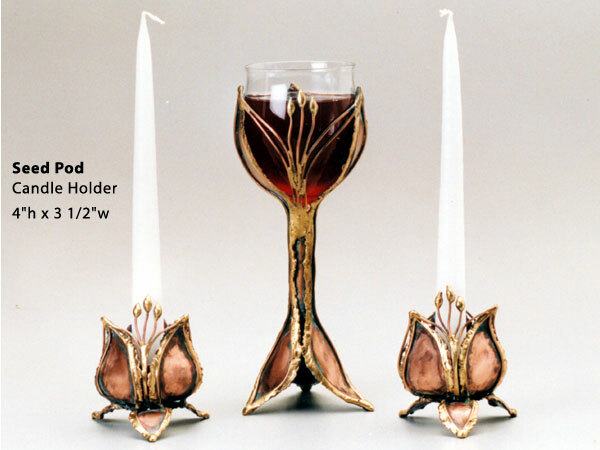 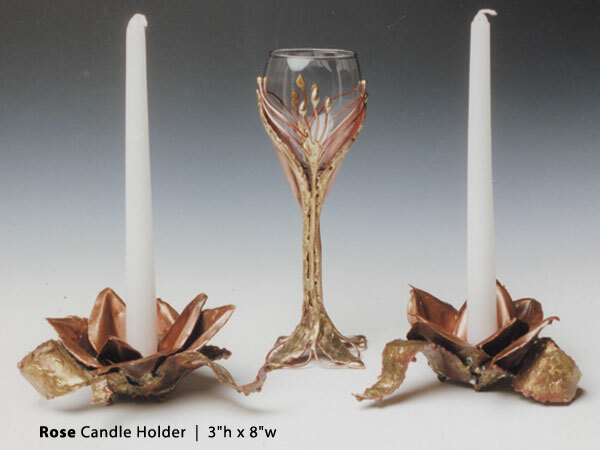 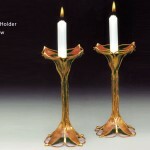 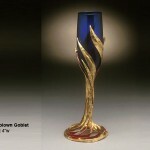 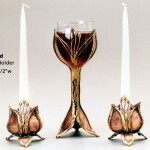 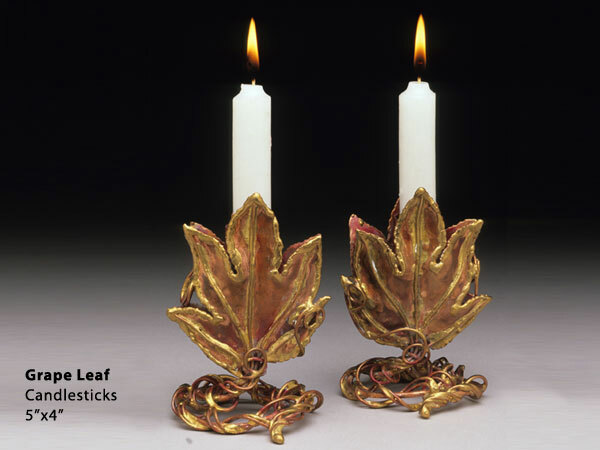 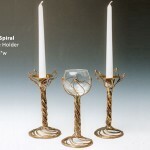 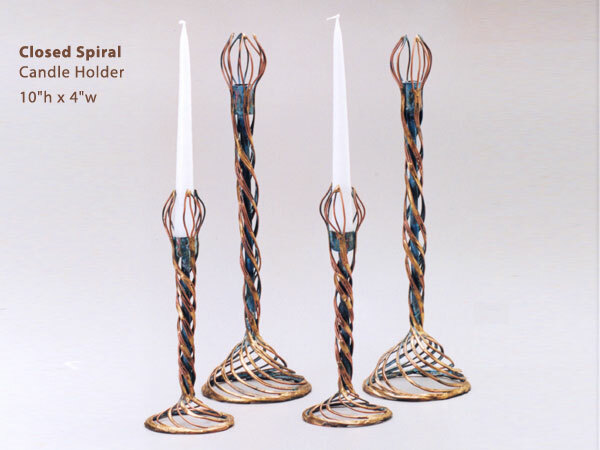 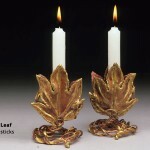 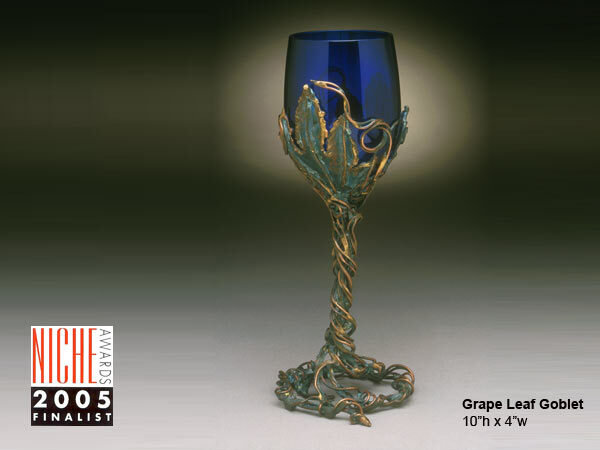 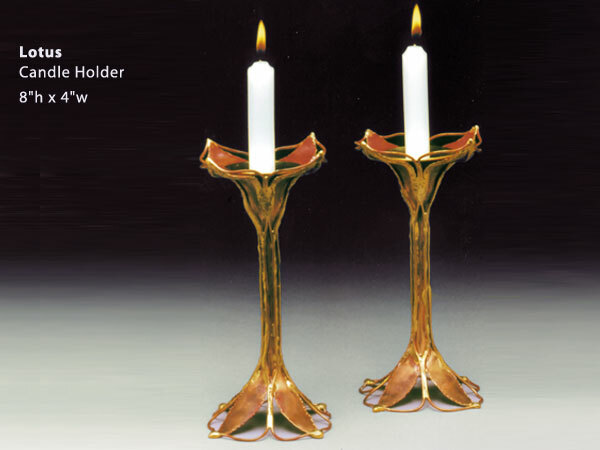 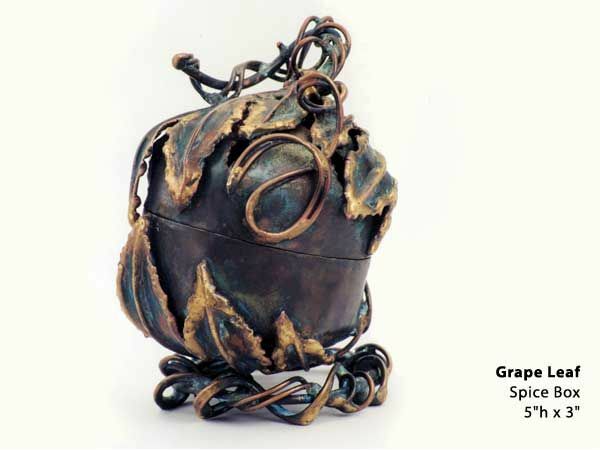 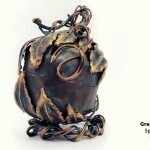 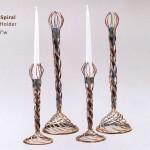 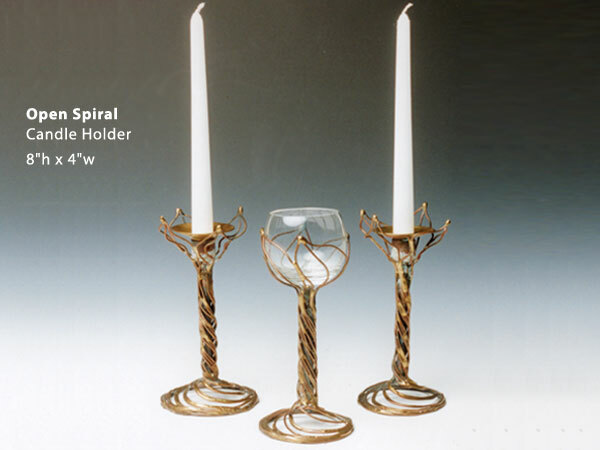 The Shabbat candle holders are perfect for saying the Sabbath blessing over. 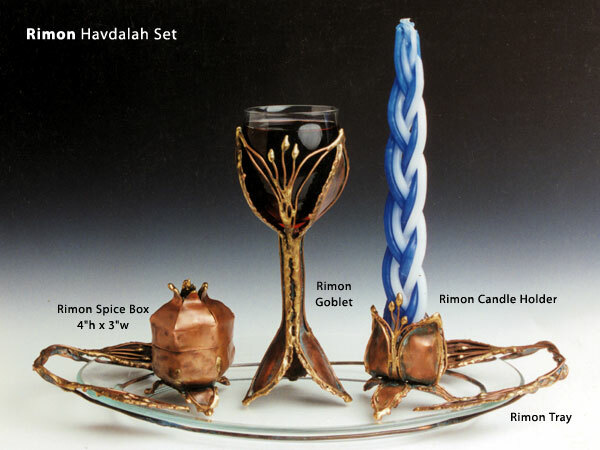 They have matching Kiddush cups and challah trays. 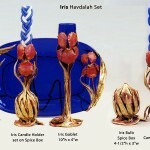 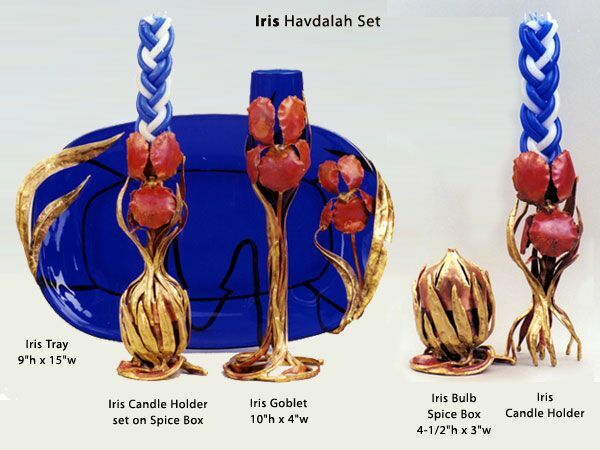 Add a spice box to complete a Havdalah set, and you will be able to celebrate from sundown to sunset. 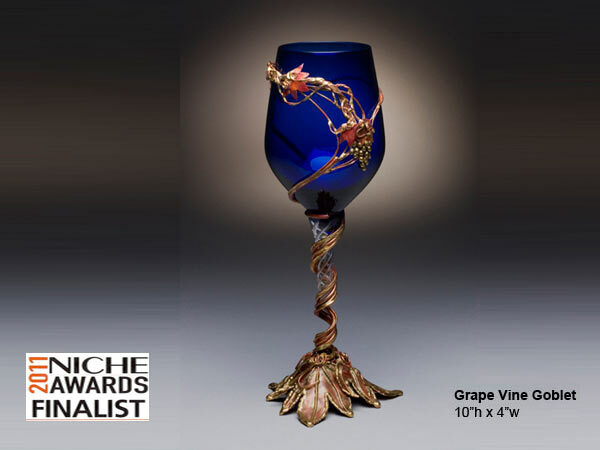 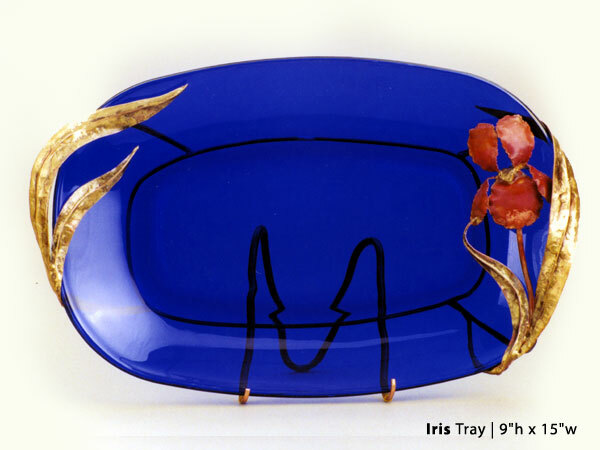 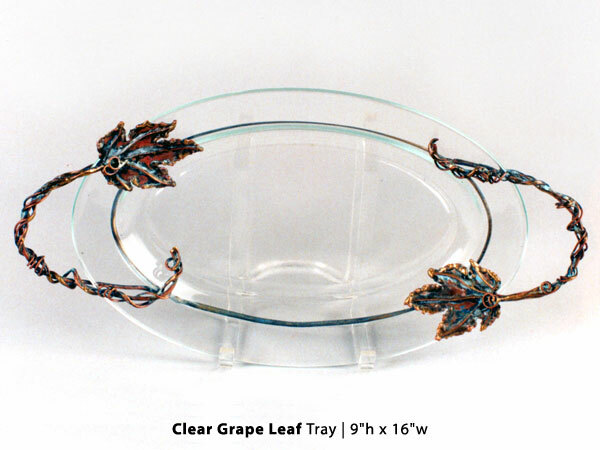 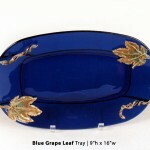 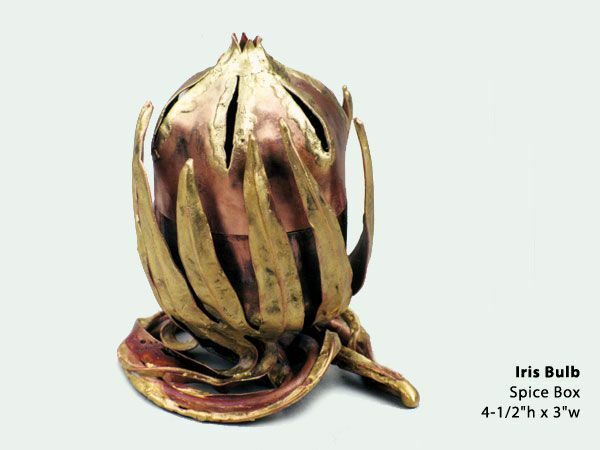 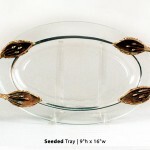 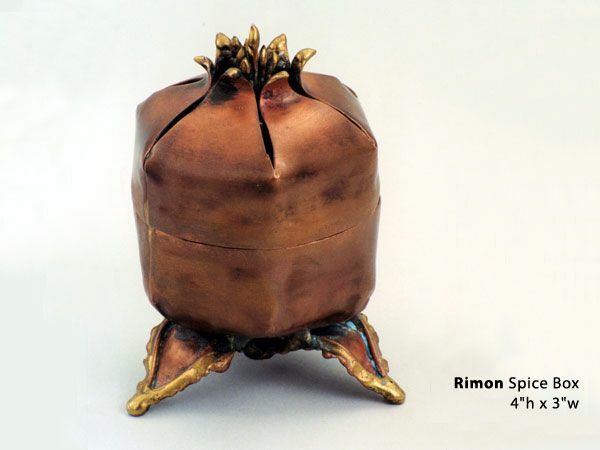 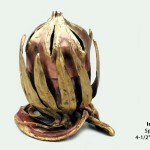 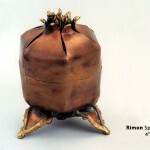 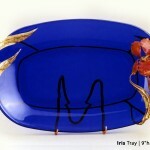 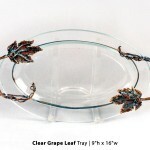 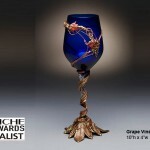 These trays have a glass plates surrounded by welded copper and bronze. 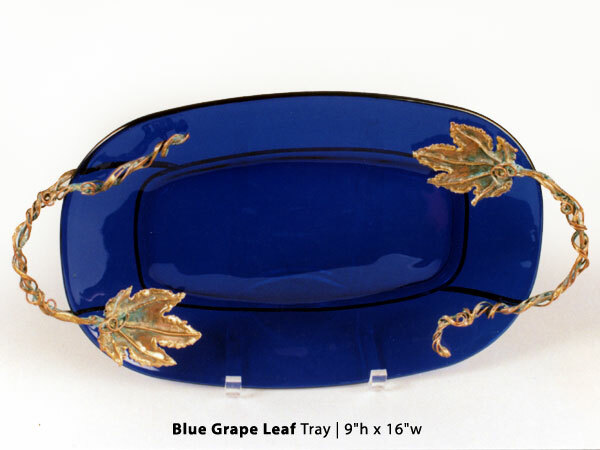 They make beautiful serving trays. 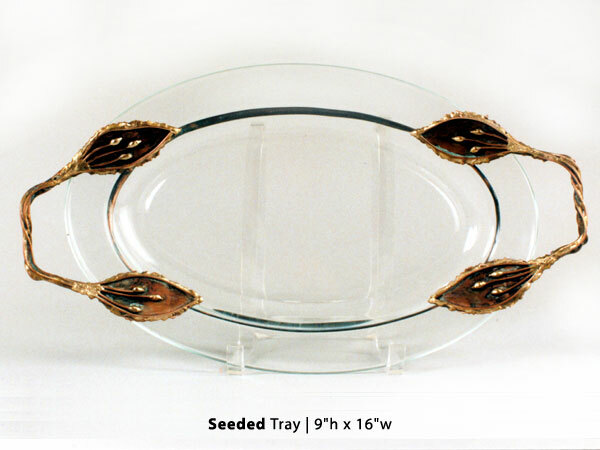 Many of the trays have been sold as part of a Havdalah set or used as a challah plate on Shabbat. 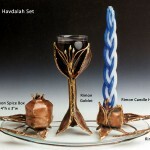 The bride and groom can bless their wedding with a Kiddush Cup and keep it to bless very Shabbat they share. 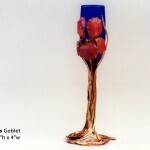 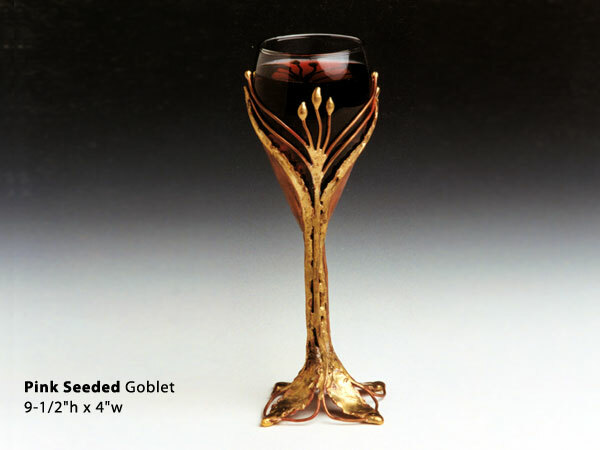 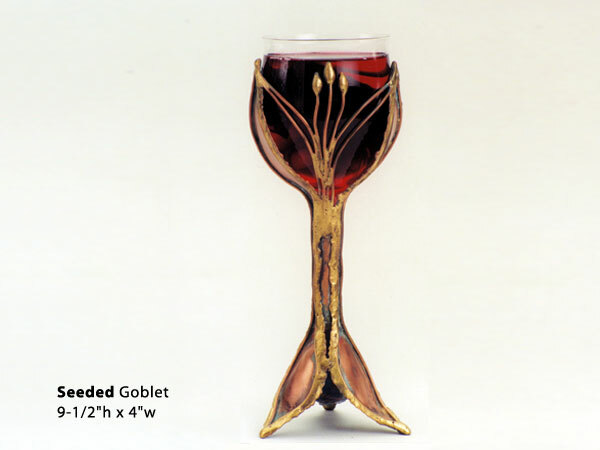 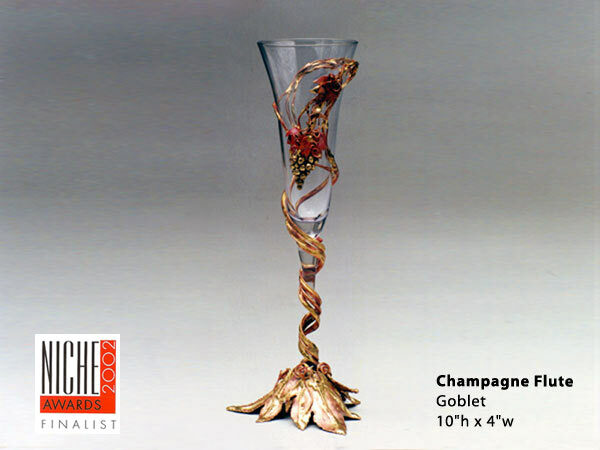 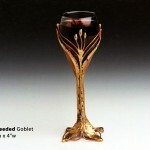 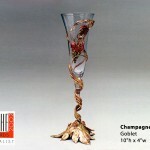 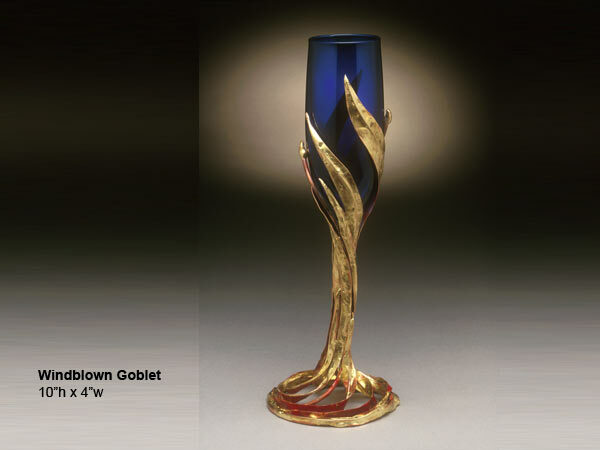 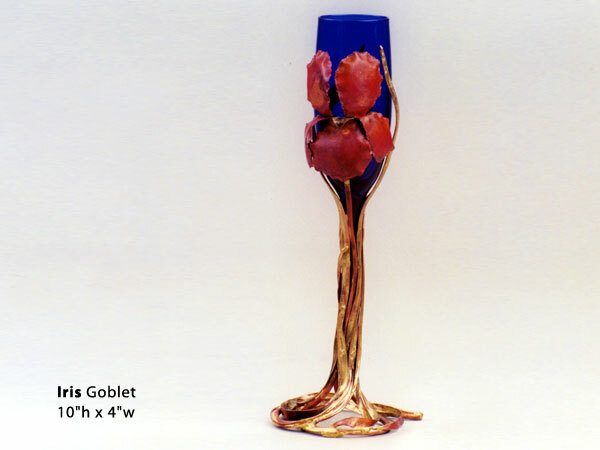 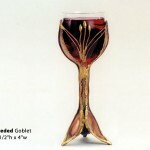 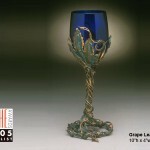 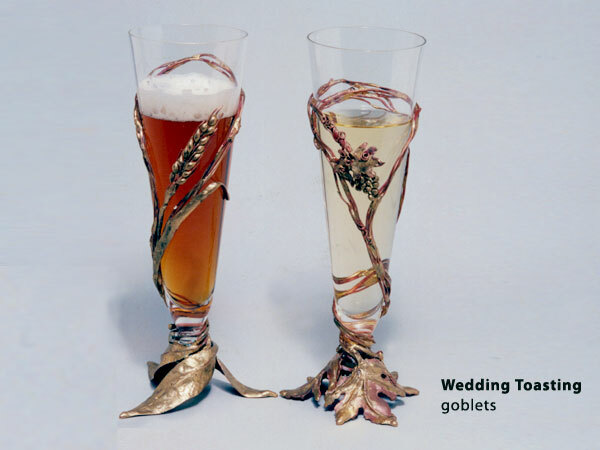 I have even created a “matching-unmatching “ set of wedding toasting goblets. 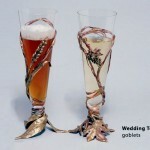 The couple told me, “I drink beer and she drinks wine. 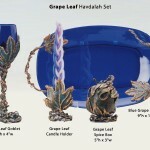 You figure it out”. 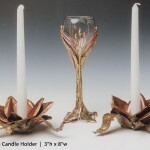 Please take a look and see what I came up with. 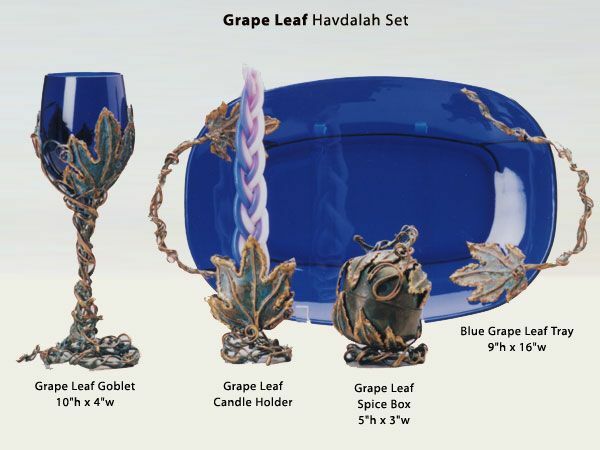 If you would like me to make something special for you or are interested in purchasing a piece from the site, please contact me at 818-706-2373 or send an email.